Six inch handcrafted Native American Dream Catcher wrapped in real leather. The web is spun with authentic sinew. Within the two rings can be found four feather charms representing the East, the West, the North and the South. 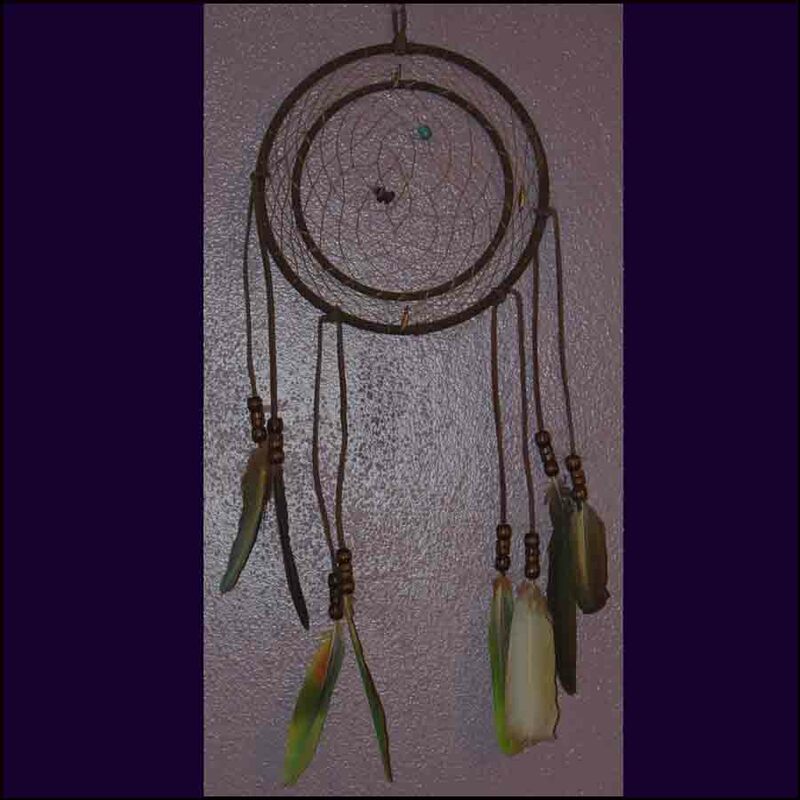 A turquoise bead and four amethyst stones can be found in the center of the Dream Catcher attached to the sinew. Six strands of leather are carefully attached along with wooden beads and genuine feathers. The Dream Catcher would be placed above the person’s head, commonly with each child. The Dream Catcher denotes the clutching of bad dreams in the web one would have. With the rising of the morning sun the dreams are carried away by the dance of the beautiful feathers.